Service Costs > How Much Does Pack Rat Storage Cost? How Much Does Pack Rat Storage Cost? Pack Rat is a portable storage option where you can either keep the storage unit at any location or have it taken to one of Pack Rat’s storage facilities. This flexibility allows you to do whatever is more convenient for you. Some people choose to use Pack Rat when moving from one location to another, a benefit allowing you can pack your belongings at your own pace rather than having to do it all in one day. Other people may use Pack Rat storage to store items while part or all of their home is being renovated. The cost of a Pack Rat will greatly depend on how far the storage unit is going to have to travel as well as the size and number of storage units you need. The company is going to charge a pickup and moving fee, along with storage if you choose this option. Like a moving company, the further you have to travel, the more you are going to pay. For example, a 25-mile move for a 3-bedroom house could cost $350, while a long-distance move could get well into the thousands. To budget, plan on spending close to $10 to $15 per mile for a short-distance move and around $7 to $10 per mile for a long-distance move. To get an exact quote, the official website advises you call 1-800-PACK-RAT to receive a final price. The cost, according to their guide, will depend on the distance you’re moving, the flexibility of your dates and the container availability. Francesca Di Meglio on HireaHelper.com contacted the company in regards to a move she made up. When contacting the company, she was originally given a quote of $4,967 for two 16-foot containers from Fort Lee, N.J. (New York City area) to Kissimmee, Fla. (Orlando area). This price, however, as she haggled, was dropped to $4,350. This fee included the two containers, delivery and transport fees, two locks, 20 blankets per container and up to $25,000 in damage coverage. Each Pack Rat unit is going to be 8, 12 or 16 feet long. A 12-foot container can hold up to two rooms while a 16-foot container can hold up to three. All containers are made of 100 percent steel and are lockable and weatherproof. Pack Rat will bring the storage unit to your location, usually dropping it off in either the driveway or parking lot. Once it has been dropped off, you will have as much time as you need to fill the box; however, if you go over the allotted amount of time that you chose, monthly storage fees will be applied. When the box is filled, the company will come to your location, load up the truck, and take it to your new destination, where it will be dropped off again to unload. To see how the process works in detail, camelsandchocolate.com broke down her move across the United States while using one. Pack Rat is able to move your belongings anywhere within the continental United States. 20 blankets per container come with all long distance moves. If you need to store your items by the month, plan on spending $150 to $190 per month to keep them in a Pack Rat storage unit. This rate will depend on the current promotion and which rate the representative offers. Administration fees and taxes will be added, and these costs will depend on the move. Adding protection to your valuables can increase the price. For example, $75,000 in insurance could cost upwards of $150 for the move. 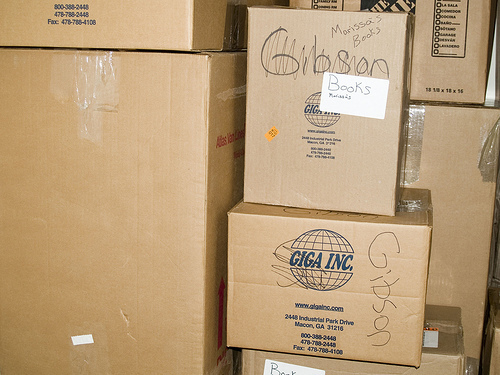 Boxes and other moving supplies can be purchased for an additional fee. You will have 48 hours to cancel your reservation without penalty; however, if you cancel, the cancellation fees can depend on the distance the container has to travel to your location. In some cases, this fee can be in the $250 to $500 range. Those who live in apartments or areas with tight spaces may want to contact the company ahead of time to see if permits will have to be pulled. Some areas may not be able to accommodate these containers. The container will have a weight limit, so be advised that if you go over it, you will have to take out some belongings. Pack Rat is just one of the many competitors that offer this sort of setup. Do not forget to get quotes from other leading companies like PODS and UBF. Keep your eyes peeled for special discounts or coupons. You can often find these deals either on their official website or by searching online for a Pack Rat promo code. Storage units alone can be an expensive way to move. Do not forget to compare moving trucks and other options. Being flexible, as the company states, can save you money. If you are a partner with Lowe’s, previous customers claim you can save 10 percent on your quote. Don’t settle for the first quote you receive over the phone as people have been able to haggle over the phone. For instance, you may be able to haggle on the monthly storage costs and/or lower your damage insurance to save.